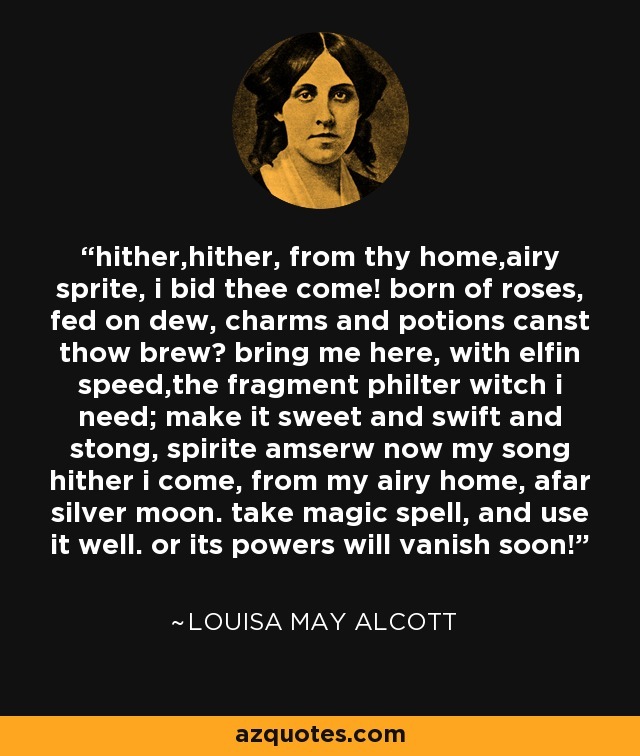 hither,hither, from thy home,airy sprite, i bid thee come! born of roses, fed on dew, charms and potions canst thow brew? bring me here, with elfin speed,the fragment philter witch i need; make it sweet and swift and stong, spirite amserw now my song hither i come, from my airy home, afar silver moon. take magic spell, and use it well. or its powers will vanish soon!